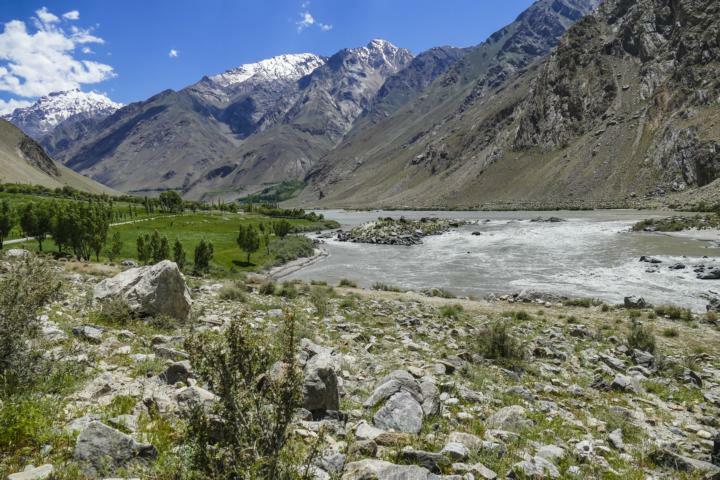 The Pamir Highway and the Wakhan Valley – the 2 top must-have-seen-sights inTajikistan. 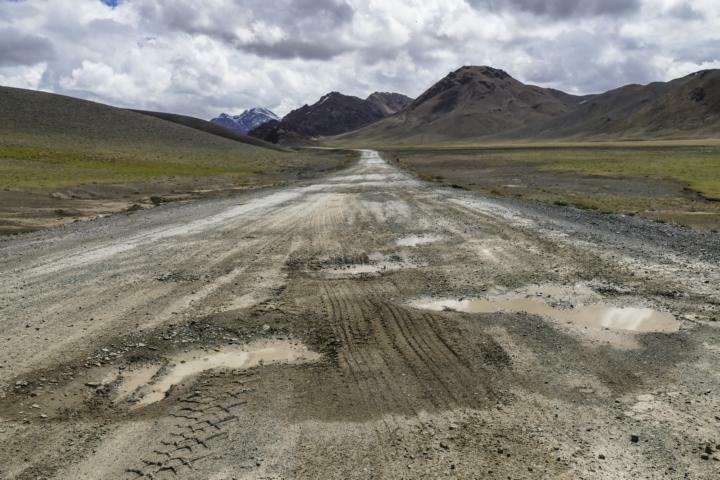 High altitudes, few infrastructure and rather degraded roads. Without that – no fun on the top of the world. Sorry for that. Dear friends in Lesotho we know Lesotho is the top or the roof of the world. 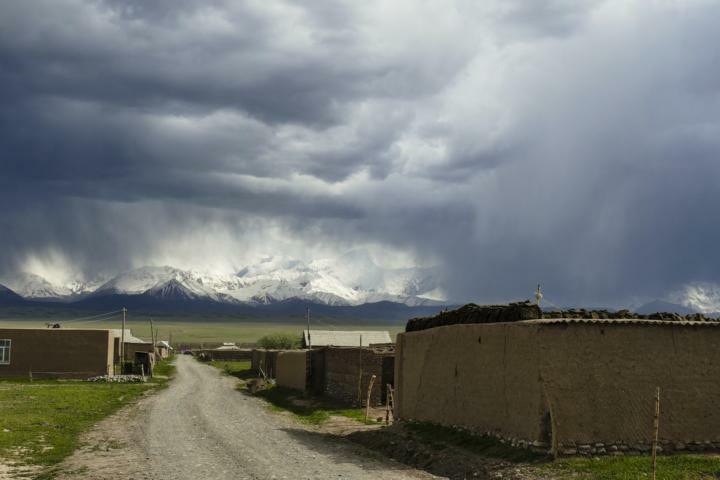 Nevertheless, it seems the world has several roofs and Pamir is also 1 of them. We stay a few days in Osh. Time to recover from the incredible exertion on the high passes of Kyrgyzstan, to admire the huge offer of big supermarkets, to have sumptuous meals und to shower Prado and get him a couple of new filters. 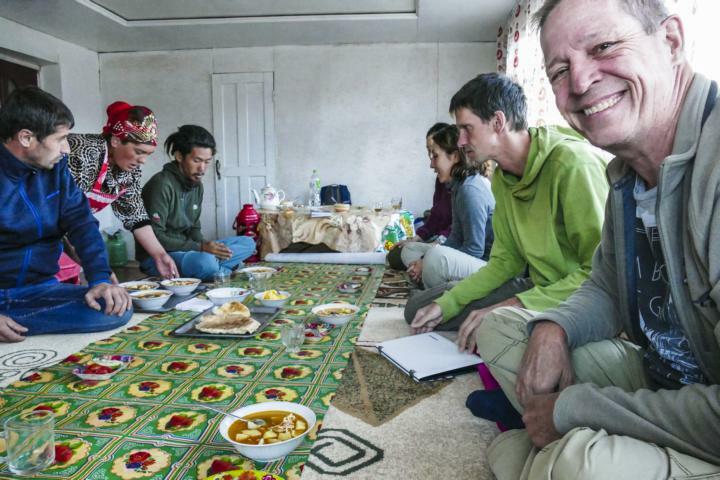 After having finished all these activities we move on towards the famous Pamir Highway. 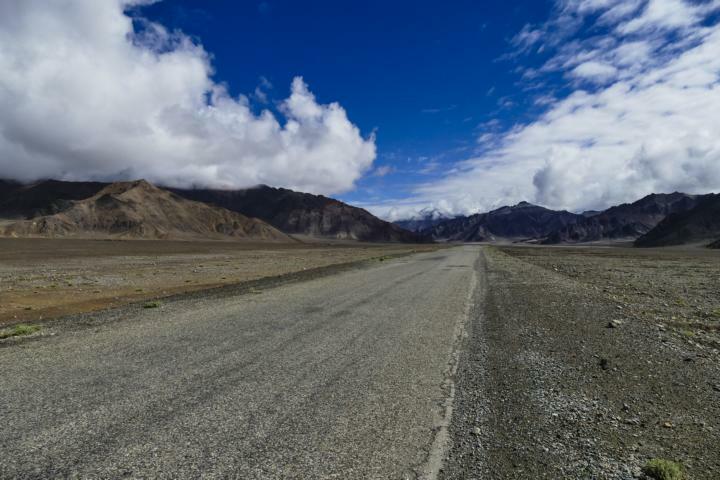 This road some 3500 to 4000 m high with several passes up to 4600m altitude – the ultimate dream of the bicycle adorn ethnicity. 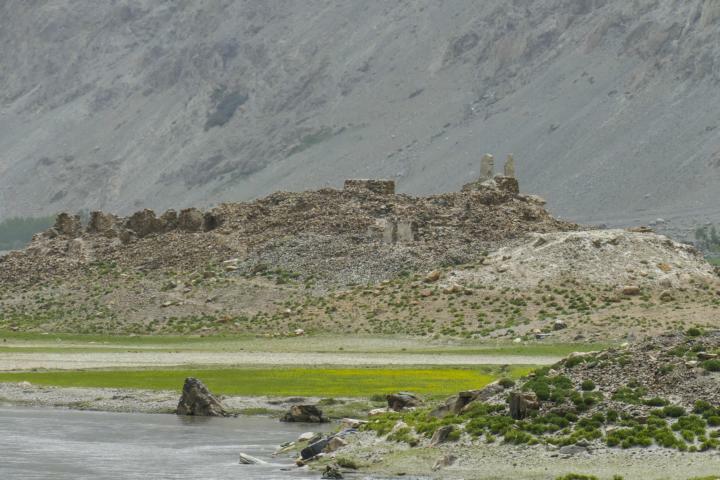 Then on to the Wakhan Valley, along the border to Afghanistan with the opportunity to observe from the safe other side of the river some Taliban activities. 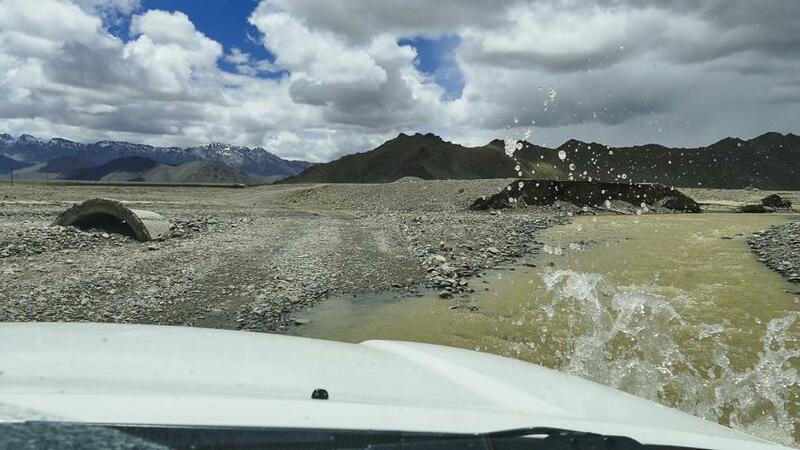 In order to get used to the high altitude we 1st drive to Sary Moghul at 3100m near the base camp of the Mt. Lenin climbers. A good road leads to the village. 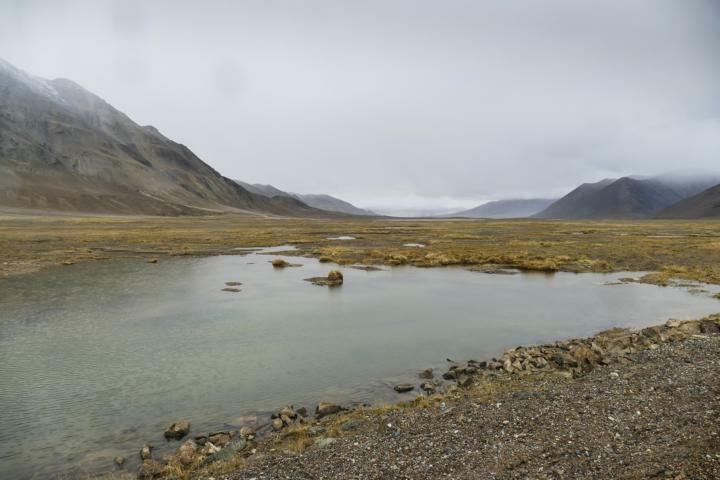 Over a pass of 3600m and into the valley along the Alau Range. 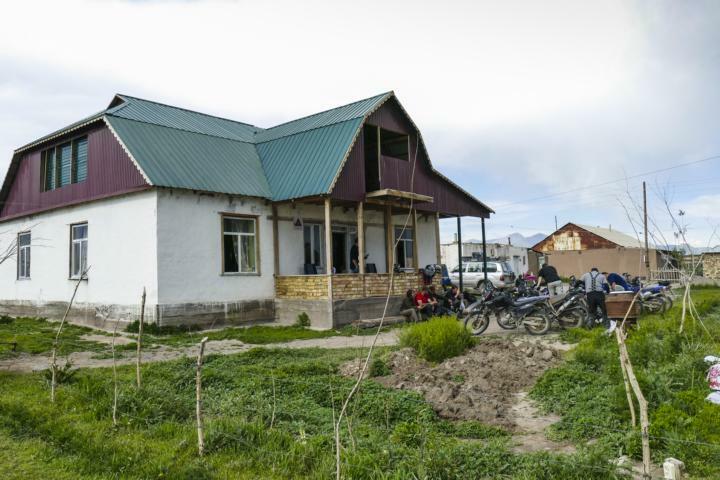 A guest house of the Community Based Tourism – no name but full of tourists, a whole biker group from MuzToo on their once in a life adventure trip without risk of getting lost. Being the GH of the local CBT manager obviously the only accommodation really having some guests. Whatever. … admiring the view from the dusty streets, and it’s already time for a much deserved beer. The next day wonderful weather, a clear view of Alau Range, especially Mt. Lenin with 7134m. We take the road towards the base camp directly below Mt. Lenin. 1st of all a short walk to a lonely river. 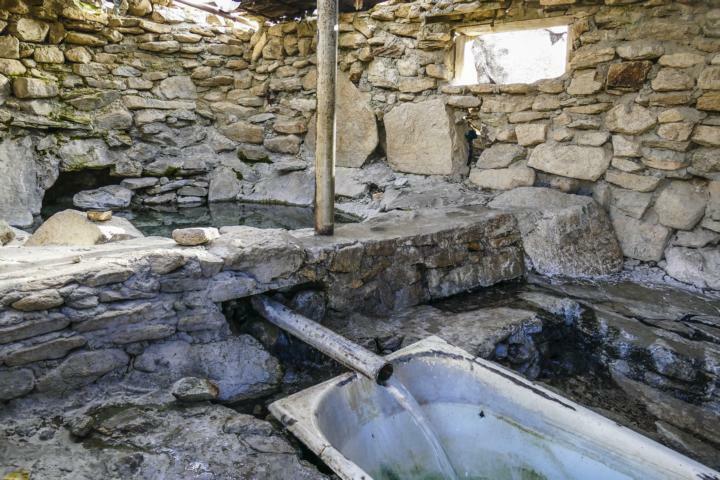 The ultimate opportunity to have a nice ice cold mountain village style shower (in the GH the shower is somehow still at the state of a future project). Despite the cold water an awesome place to admire the mountains rising to more than 7000m, a stroll thru the valley below with all its small lakes. As on most afternoons thick clouds and thunderstorms send us back to the GH. A last night in our colourful GH without a name – now the only guests. Next morning rather cloudy. 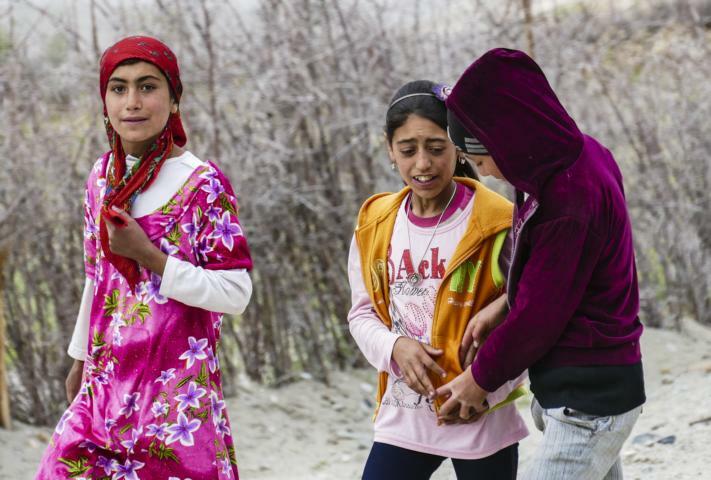 We drive to the Tajik border. Some 2h, then on to Karakul at the eponymous lake. 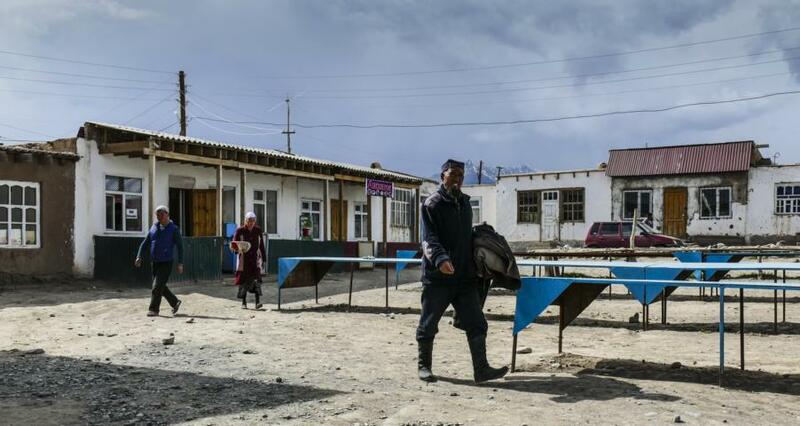 The Kyrgyz Border formalities are done within minutes once all officers have been found. We haven’t gotten a Temporary Import Permit when entering the country, but luckily nobody dares to ask us for this all-important document when leaving. Nevertheless, next time entering Kyrgyzstan we’ll insist on this piece of paper. 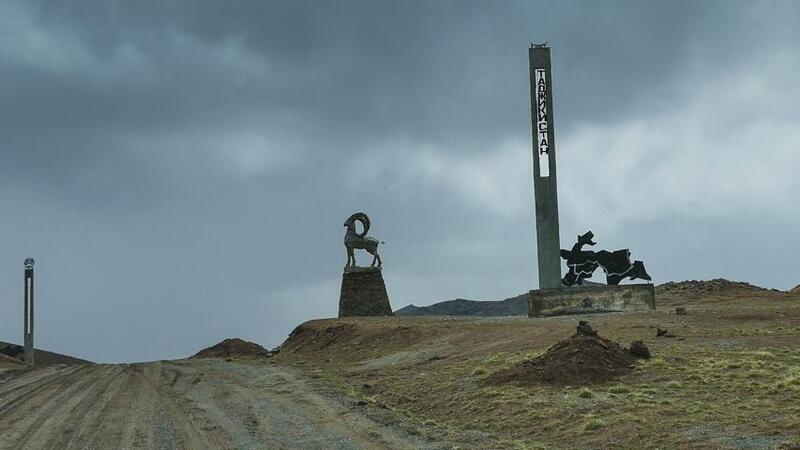 Some 15km up to the Kyzyl Art Pass. 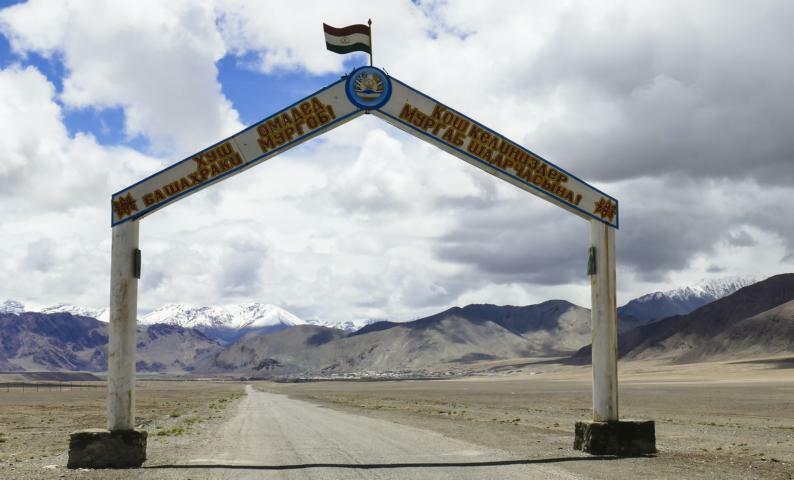 There’s the Tajik border post at 4260m. Quite cold here. Everybody very friendly and interested in quickly having our formalities finished. Nevertheless, some 45$ had to go from 1 pocket to the other as official fees for all kind of documents, including a veterinary declaration of non-objection to the mozzies in our car. In our next life we’ll definitely specialize on introducing new forms for border posts. Maybe just a dream. 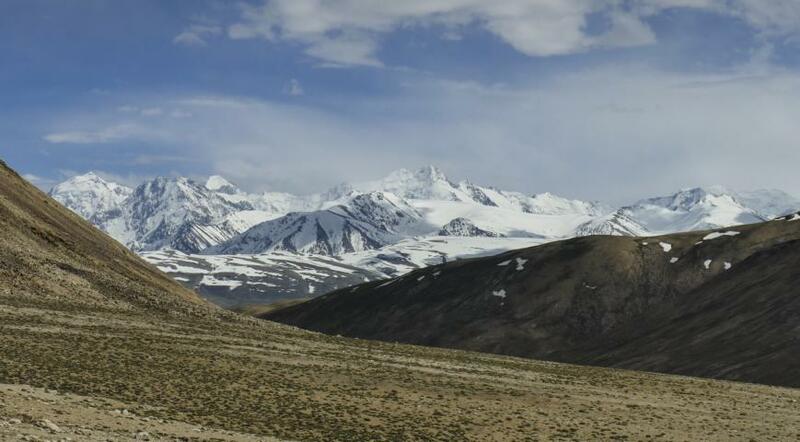 After the border a 1st view of the Pamir, this huge plateau at an altitude of about 4000m. Then some 45km to Karakul. It takes some 2h. Not because the road is bad, but due to the numerous pics to take. A few km before arriving in Karakul another pass, – only 4200m altitude and a 1st glimpse at the lake. Then in town. A few houses at 3900m, a few guesthouses, lots of dust and some of these hippie-cows they call Yak. 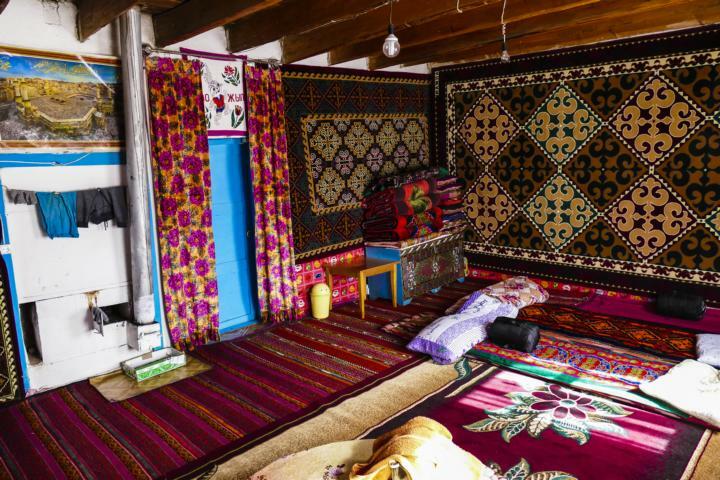 And finally the Sadat Homestay with rooms even more colourful than ever before. 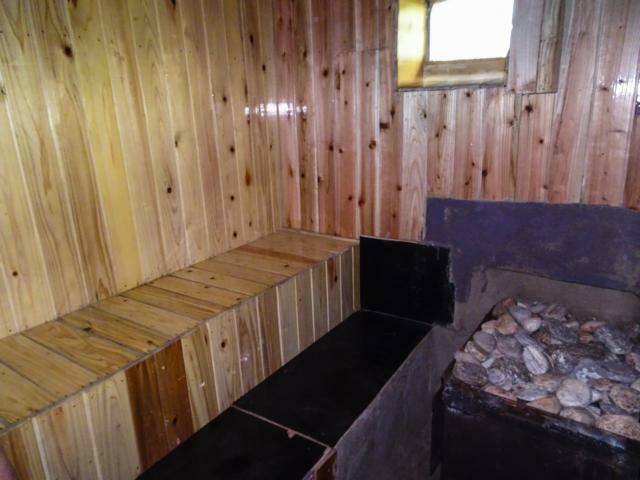 … and then warming up in the GH’s Banya – a kind of stream sauna with integrated hot shower – really great for the 5 Somoni they ask for it. The next morning: just clouds and rain. 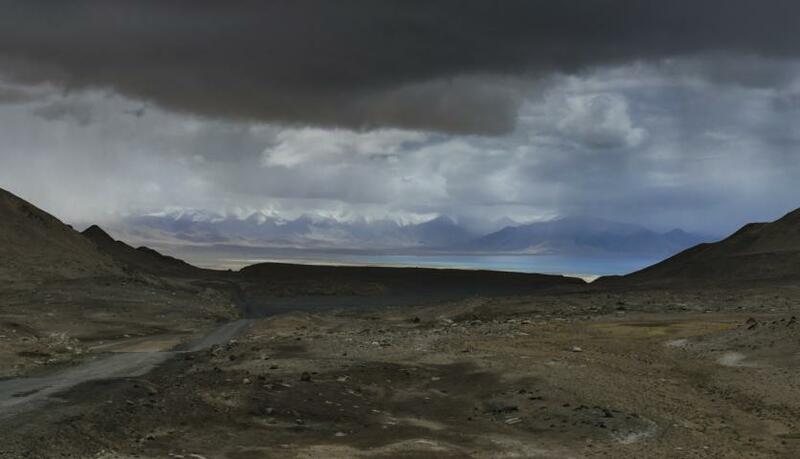 So no chance to see much of the great Pamir landscape. We decide to move on, as we both state that we probably gained a little too fast altitude yesterday and therefore show some slight signs of altitude sickness. So we head on to Murgab which is some 300m lower. Some 120km; despite the bad weather 4h with all the photo stops. We approach the 4660m high Akbaytal Pass. 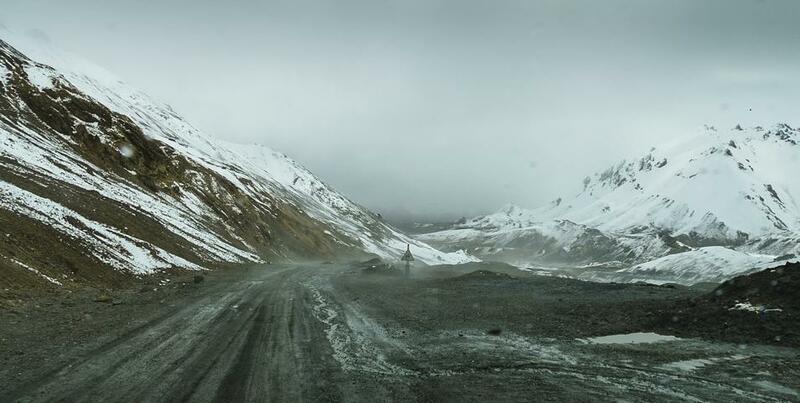 The highest 1 on the Pamir Highway. It all starts with a very reasonable slope. The 1st snowfields on the side. At 4400m the rain converts into snow. The pavement ends and the road gets increasingly muddy. Prado behaves quite well, probably because it’s proud to get to its highest point ever. About 150m more than in Ethiopia’s Bale National Park some 4 years ago. Well, a little gasping is probably normal. On the top of the pass a stop to digitize the surroundings. 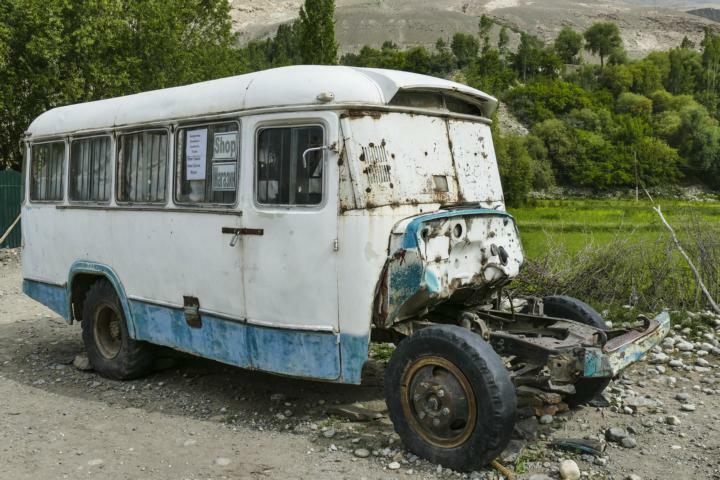 Two more cars arrive – time to exchange on the top of Pamir Highway roadside tales with some Swiss’n’Dutch on the way around the world. … the small town is rather known for its desolation than its beauty. Nevertheless, we have to visit their famous bazaar – all shops installed in converted containers. Definitely not nice, but a quite unique idea. And they have an interesting mosque. The next day nice weather is back. Time for some side trips from Murghab. To the Rankul Lake some 30km towards the Chinese border. 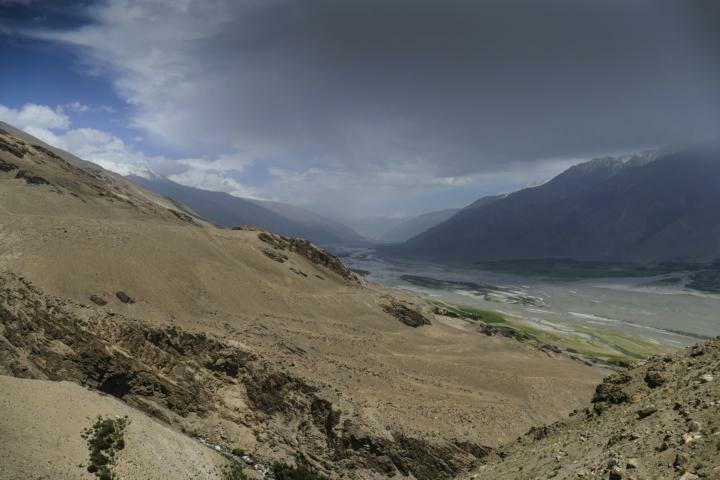 Probably 1 of the most awesome places in Pamir. On the way back some clear signs of high temperature and melting snow in the mountains. Later to the Ak Bura meteor crater. 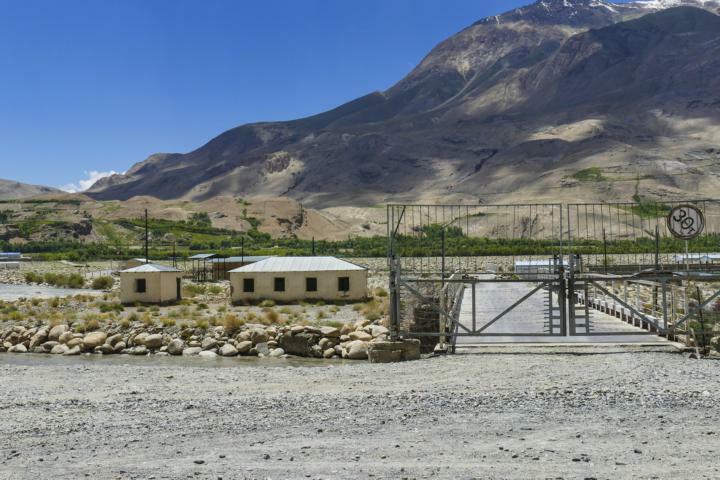 Quite a remote place towards the only Tajik – Chinese border crossing. On the way some signs of rather used infrastructure having survived the good old Soviet days. 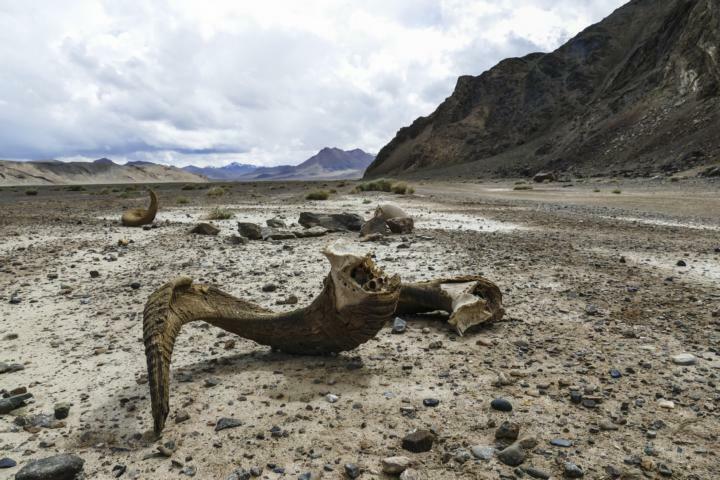 … and finally some remains of the famous Marco Polo Sheep, probably one of these famous shrines in the area, to arrive at the meteor crater. Enough of Murghab. We drive on. Westwards. 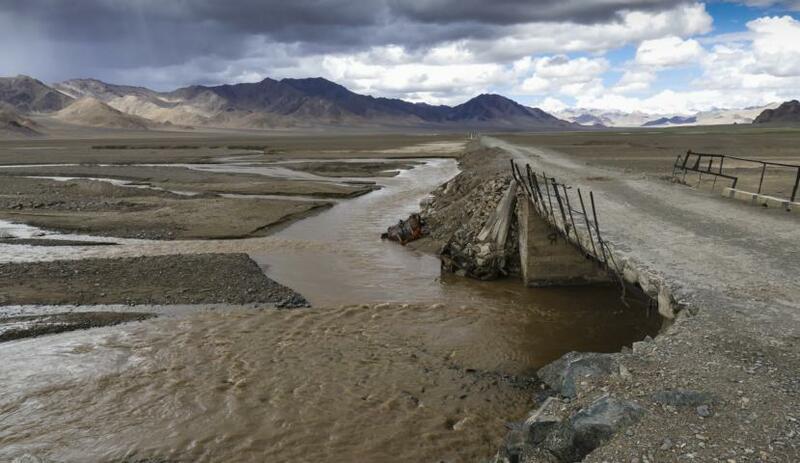 To Bulunkul, a tiny village some km off the Pamir Highway. Some 140km of a road formerly paved; nowadays partially paved with all kind of signs of degradation you can imagine – or not. Definitely an object for further studies at any engineering high school. The landscape: rather lunar like mountains with some green valleys at about 4000m altitude. … and finally reach the hamlet of Bulunkul. 41 houses, 252 habitants. We stay at the only homestay there. Unfortunately not a very likeable place. Maybe just the result of its monopolist position. 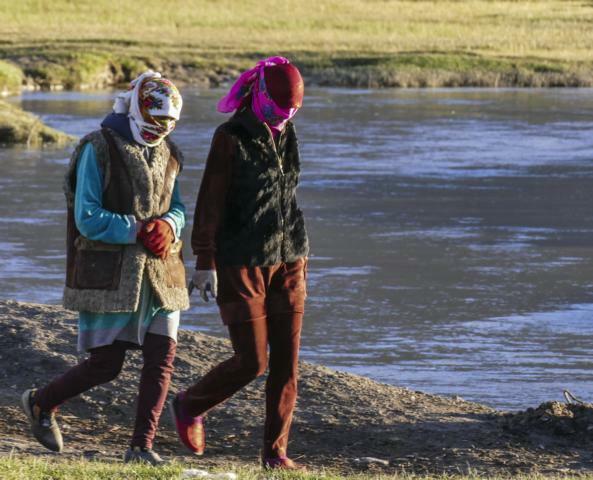 … and on the way back a shower at a rustic roadside hot spring. … and a rather simple, unimaginative dinner. The next morning we carefully check Prado’s diesel balance. Horrified we state that we definitely made too many side trips. 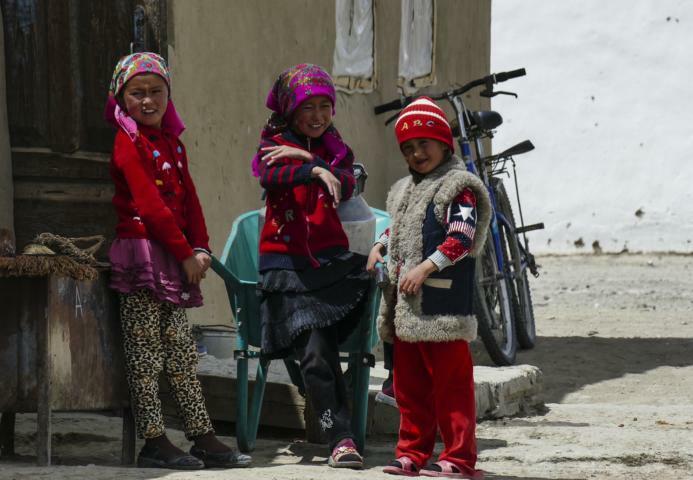 Therefore, no chance to drive thru the Wakhan Valley to Khorog with the remaining fuel and without having to push the car. Fortunately a driver of a tourist group in the GH is more than happy to confirm us that diesel will be available in the next village some 40km away. Absolutely optimistic with still a little doubt we start. Soon we’re in the village in question. We ask everywhere. And everywhere they have gasoline, but no diesel. Some 120 km later in Murghab we finally find some food for Prado at a rather rustic fuel station. Another 120 km and we’re back at the point where we have started this morning. 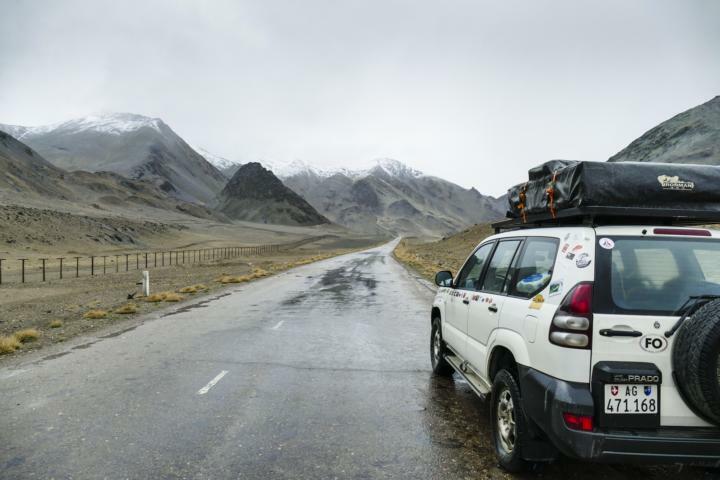 We take the road towards the Wakhan Valley which is shared by Afghanistan and Tajikistan. No longer the potholed asphalt, now a pretty rough gravel road. 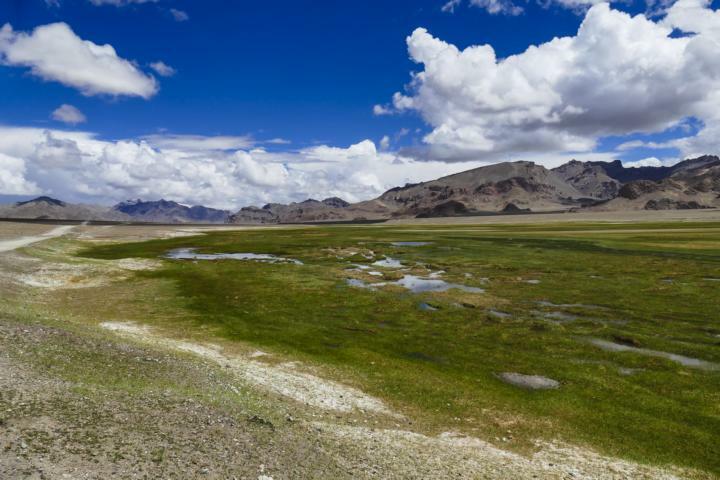 Still on the Pamir Plateau at around 4000m. … then down to the valley, a 1st view of the Afghan side just over the river. An army checkpoint copying every page of our passports into his all-important book. 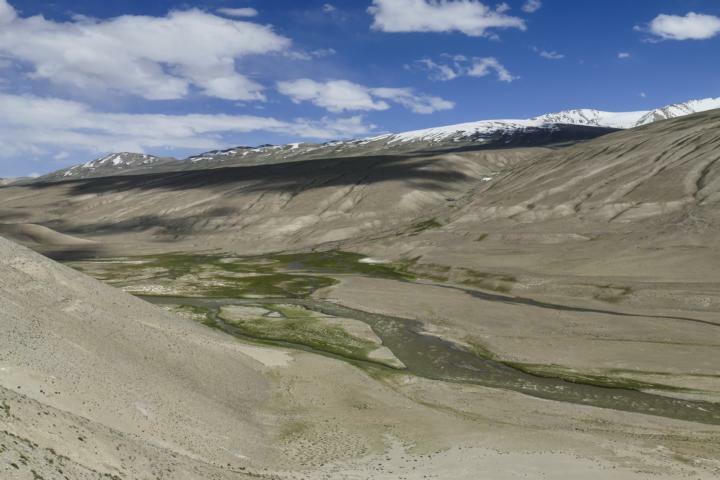 And off we’re along the Pamir River up to its confluence with the Wakhan River some 70km to the west. We arrive in in Langar, our overnight stop. We need quite some time to find the Nigina Homestay. No signboard at the roadside or the house. Finally some kids take the chance of a free ride with Prado to show us the place. Nevertheless, a nice homestay. Some beers with Swiss’n’Spanish cyclists who absolutely want to know if a mountain bike can climb by itself to 4600m altitude. The next morning. Strange weather. Not really bad but so hazy it’s difficult to see the Afghan side of the valley. Bad luck for us, but also maybe our chance that eventual Taliban on the other side of the river cannot target us for their diversified activities. … Martin’s last glance at the future local beauties and off we are. To Yamchun. The place of the famous 12th century fort and the Bibi Fatima Hot Springs – the all-important fertility booster for the world’s female population. 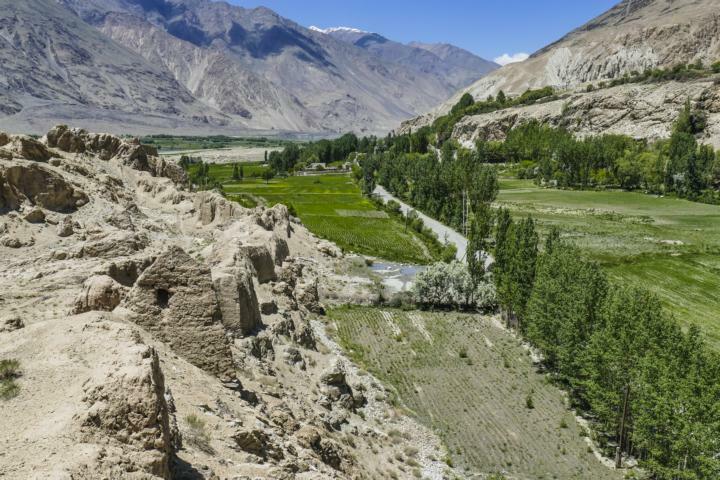 We drive on the gravel road along the Wakhan Valley, on the other side of the river Afghanistan, in the background the huge mountains of Pakistan’s Hindukush. Due to the haze hardly visible today. On the way a number of historic forts, among them the Afghan citadel of Qala-e Panja. Many of these constructions are witnesses of the vital Silk Road trade – long time before the fabric has been replaced by rayon. We pass several of these Pamiri shrine-gardens with their horns and old trees. A visit to a monument claiming to be a stupa in the village of Vrang – a lonely witness of the Buddhist heritage in the Afghan region. Just a short walk thru the village’s fields and up the hill to reach it. Then we drive up to Yamchun. A 6km side trip, high above the valley. We stay at the homestay just some 200m before the Yamchun Fort. A quite nice place. Good food and a real rarity – a true sauna. 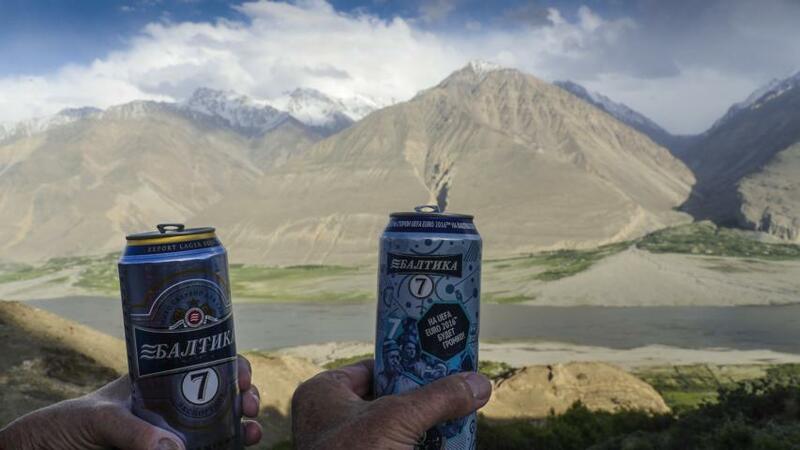 … and in the evening a scenic place for a beer with direct view to Taliban infested Afghanistan. Would be the ultimate place for the unique Watch-da-Talib Bar. The next day clear weather again. Down the hill and on to Khorog. Some 230km, roughly a day’s drive. 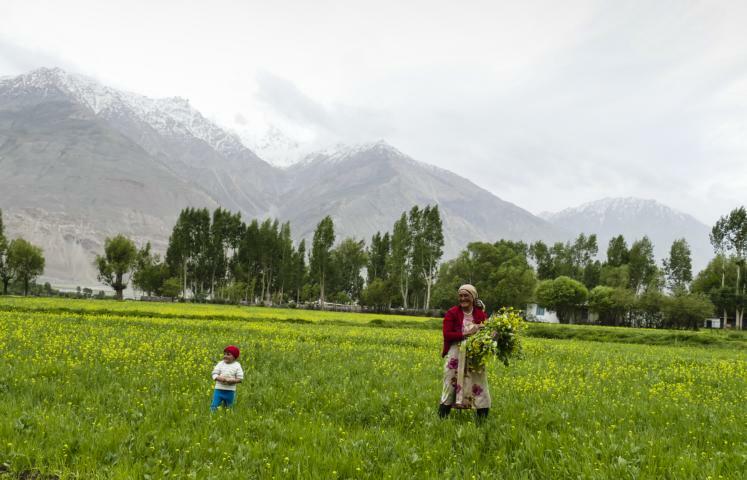 … and some Afghan farmers. Along the river, the road not really in good condition. Some cars more than happy for some helping hands rescuing them in pretty uncomfortable situations. 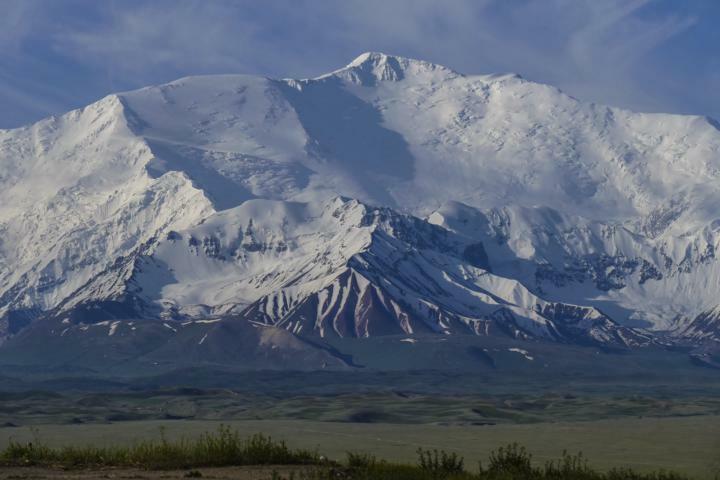 … and we arrive in Ishkashim. A village famous for its Saturday cross border market. An opportunity to go on a river island between the 2 countries to meet Tajik and Afghan traders. Unfortunately they closed the border many months ago after an incident in Ishkashim. … and by the evening we arrive in Khorog. Welcome back to some kind of urban life. Celebrated with some beer in a nice restaurant and a sumptuous Indian dinner. 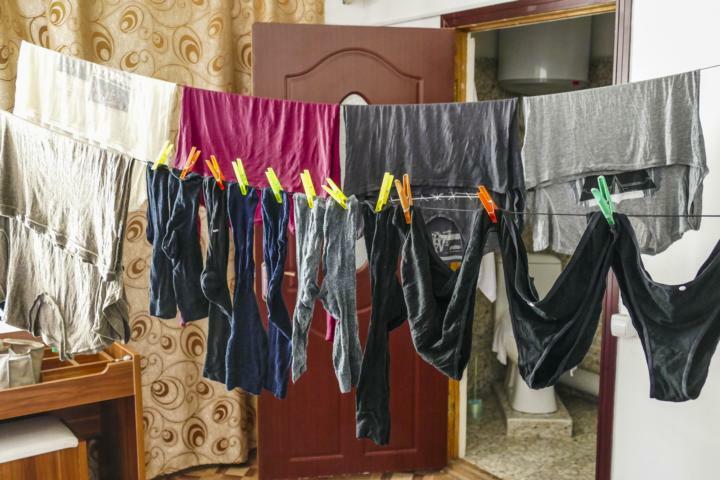 The next day – simply washing’n’rinsing. 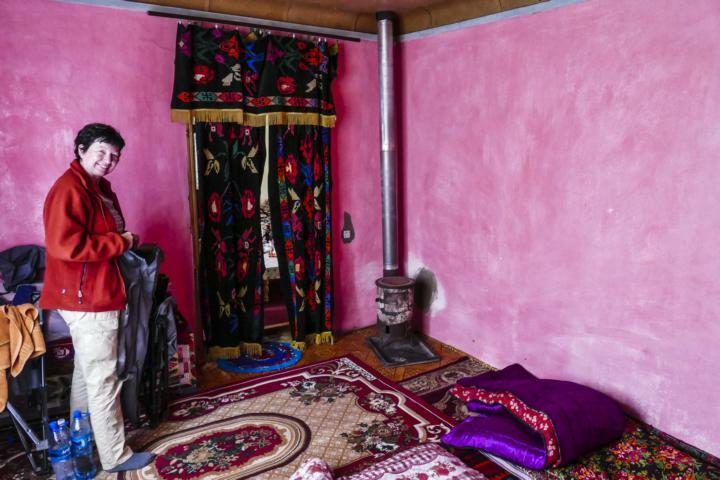 So far our incredible adventures in Tajikistan. More of the same but much different in our next post.